In January of 2012, I attended a Toastmaster’s meeting and listened to an engineer present a humorous speech about his distraction of choice. He shared experiencing withdrawal-like symptoms if he can’t skim news headlines on his blackberry for the 14th time before 12p. It is interesting that people are paying hundreds of dollars for tablets or smart phones to stay connected and they are paying even more to disconnect (see article). The fact that there is a market to provide space for people to retreat from the world and “unplug” shows how difficult it is for us to do so on our own will. I recently de-activated my facebook profile for the first time since signing up in 2005. I found myself scrolling through my iphone apps several times a day aimlessly – a trained behavior. After being away for 3 months from the facebook world, I found I was much more productive when sitting at my computer. It appears that we are so interconnected digitally that we are never alone. At any time of the day or night, an individual can turn on their laptop and be instantly connected to family members across the Atlantic, friends in other time zones, and information… never-ending information. With the internet, we never have to be alone again. While there is some comfort in this, there is also detriment. Studies have shown correlations (not to be mistaken with causation) between excessive internet use and sleep disorders(Cheung and Wong, 2011), anxiety (Kratzer and Hegerl 2008), and depression (Park, 2009). There are many reasons why people become consumed by the internet. I’d start by exploring what is being gained and lost from overuse of the internet. 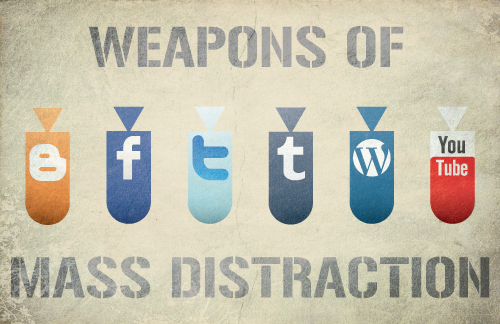 Some people use the internet to distract themselves from other parts of the life with which they are dissatisfied. The Counseling Center at Texas State University has a great online brochure on Internet Addiction.